Running a commercial kitchen could be a tedious and expensive job as setting it up involves a huge amount of expense. This is mostly in terms of the equipment needed to make the kitchen. A good commercial kitchen requires equipments like stove, fryers, freezers, mixers and the most important one being the refrigerator. The reason for this is that mostly in a kitchen be it personal or commercial one deals with perishable stuff at large. Hence, having a good refrigerator is quiet essential. Now since in a professional kitchen one has to deal in large quantities one has to have a commercial refrigerator. There are many kinds available depending upon the kitchen that you works in. The types of refrigerators can even be classified on the basis of their usage as well. Some of these are discussed below along with their functions. The first in the list is the bar refrigeration unit, an essential commodity for those who have a bar associated with the restaurant. These help you store alcoholic, non alcoholic drinks and other bar needs in large quantities. The units come in variety of sizes depending on the capacity you require and have a glass door in the front. This gives the customers a good view of what’s inside. 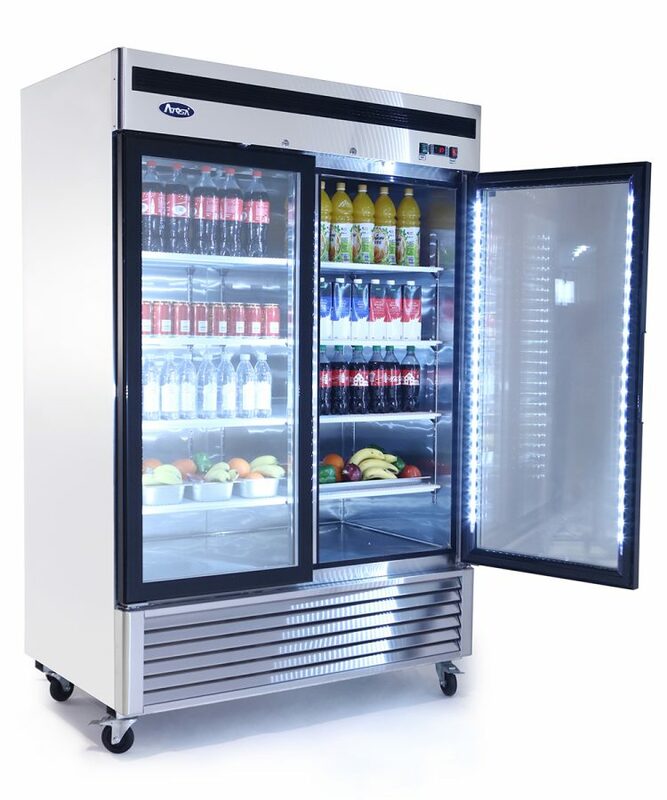 A good commercial refrigerator is not only a requirement in the kitchen but also in places like the super markets and grocery stores. In such a scenario a merchandising refrigerator can come to your rescue. These help in storing the grocery supplies in the supermarkets and also they are designed in such a way that can be used to display in the super market. Next in the list is the very important under counter refrigeration system which in a way is a dream for any chef in the world. A preparation table is an important aspect of any kitchen and when it is equipped with a refrigerator underneath there is nothing more than one can ask for. Such an arrangement saves on a lot of time and space in the kitchen. Last but not the least is the reach in fridge a common sight in every kitchen. These might be similar in function like the residential refrigerators but have more power and are much larger in capacity. Each of the above discussed refrigerators has their own design and style and one should choose as per the need and usage.